When was the last time you read an engaging brochure at your doctor’s office or watched a funny commercial for your local dentist? If you’re stumped, you’re not alone. Healthcare marketing has traditionally been dry, formal - and, well, boring - thanks to a highly regulated industry that, according to the Content Marketing Institute, is two years behind its counterparts in other industries. 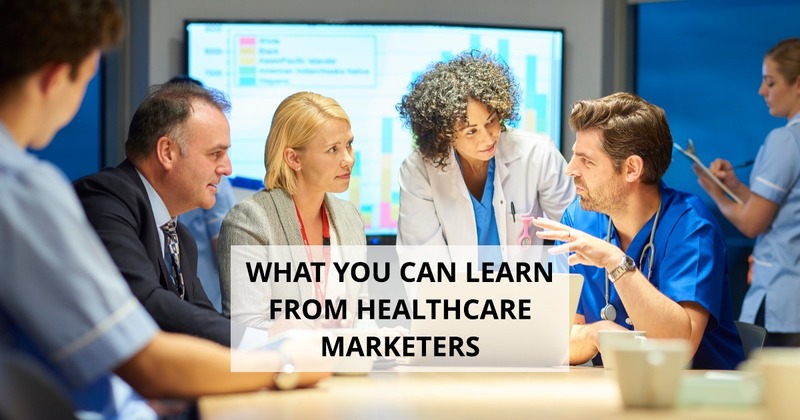 It’s time to catch up, revamp your techniques, and learn a little something from healthcare marketing leaders. As a global leader in healthcare technology, GE committed $6 billion in 2009 to healthcare innovation with an initiative called Healthymagination. As part of its overall strategy, GE used experiential marketing to raise awareness about the state of healthcare in impoverished parts of the world and promote its global healthcare solutions. The brand created three “movie sets” that depicted healthcare conditions in developing countries. The sets included a rural African clinic, an urban clinic, and an emergency room. The medical staff at those locations shared their stories with more than 700 industry professionals in attendance and explained how GE’s technology had provided for people in need. GE’s campaign had quite the impact. It won a Business Marketing Association Tower Award and generated significant coverage on CNN and the Associated Press. Takeaway: Your practice doesn’t have to be the size of GE or have its financial portfolio to reap the rewards of experiential marketing. Start by brainstorming events that your practice can host where you can directly connect with potential patients in a lighthearted and educational way that allows for dialogue and relationship building. The Canadian charity, known for its buzzworthy breast cancer awareness and educational campaigns, promises on its website to “infuse sass and style into the cause” and empower young people worldwide. It did just that with its “Your Man Reminder” video on YouTube that featured shirtless male models walking women through a self-breast check. The tastefully provocative video blended both education and entertainment and has garnered 7.5 million views and more than 30,000 likes. Takeaway: If a picture is worth a thousand words, a video is worth 1.8 million words, according to Forrester Research. The reach and power of video advertising is undeniable and if you’re not already posting video content you’re falling behind. Start small by developing an online presence that leads with personality and authenticity. You have the expertise people want. Share it in a way that breaks down walls and inspires action. If you think you’re too busy to work out, the New York Times is here to tell you that you’re wrong. The paper offers readers high-intensity interval training workouts for 10 minutes, 7 minutes, and even as short as 4 minutes. Best of all, the workouts are scientifically proven to work. Takeaway: People are strapped for time like never before. Make content accessible, helpful, and above all else, user-friendly and self-serving. There are significant opportunities for your practice to grow with sharp content that tells people exactly what they want and need to know. Healthcare marketing is evolving and practices must transform their approach in order to stay top of mind, competitive and accessible to their patients. Discover what works for you.